The Chrome OS-powered notebook now features 5th-gen Intel Core processors and is one of the first portables to launch with USB Type C connectivity. Two years after the first Chromebook Pixel, Google updates its Chrome OS-powered notebook "to fuel the imaginations of another wave of Chromebook enthusiasts." 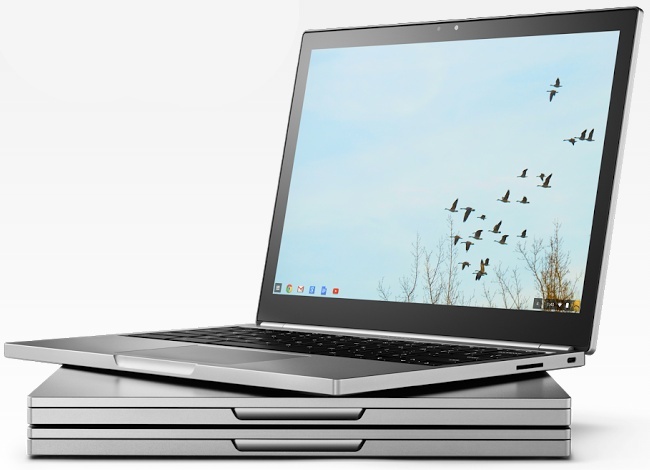 Next to the regular edition Chromebook Pixel, a variant called LS("Ludicrous Speed") is also up for purchase. 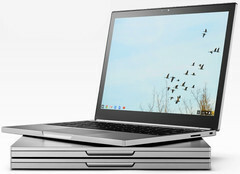 In addition to the new Intel Core processors, the updated Chromebook Pixel features USB Type-C connectivity that allows multi-device charging, as well as high-speed data transfer and display by using the same connector and cable. The notebook has two USB Type-C ports, as well as two standard USB 3.0 connectors. Google Chromebook Pixel now features 4K video output, a wide angle 720p webcam, as well as a backlit keyboard with a whole new design. According to the official product page, the updated Chromebook Pixel has a battery that can power it for up to 12 hours on a single charge. Google Chromebook Pixel with a Core i5 processor, 8 GB RAM, and 32 GB SSD can be purchased in the US for $999 USD, while the LS has a price of $1,299 USD and packs a 5th-gen Intel Core i7 processor, 16 GB memory, and 64 GB internal storage.